A while back I did a frog post with a photo of the frog that wasn't all that great for ID. 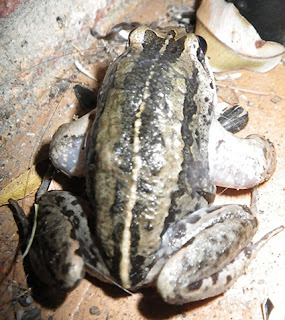 I thought it was a striped marsh frog. I'm not sure that this image is great for ID either, but at least the frog isn't in a bucket of water and you can see the markings!